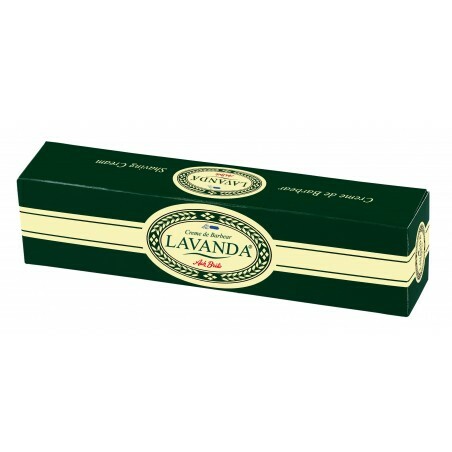 Ach Brito Lavender Shaving Cream 100gr with soothing and emollient properties. Lavender Shaving Cream is formulated with a coconut oil base that is enriched with Lanolin and oat extract. 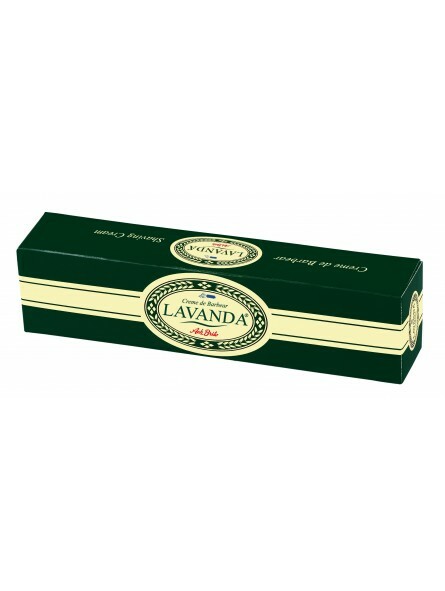 Lavender scented, it is ideal for a perfect and traditional shave. Since 1887 Ach Brito is well known for their quality soaps. If you are looking for other Ach Brito products with their traditional Mediterranean and fresh lavender scents such soaps, eau de cologne, etc have a look and see what we have to offer. Traditionally made. It has a light and clean smell, like barbershop with notes of lavender. Makes a great lather. Great fragrance invigorating in the morning with a lather out performing many more expensive brands. Effortless shaving giving easy glide.